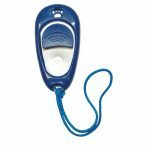 Clicker Reward Based Training Workshop on Saturday 4th August 2018 at our training ground in North Hertfordshire. So if you have an interest in seeing how this positive method of training works book yourself onto this workshop. The session will last for 90 minutes (9.30am – 11am) and cost each participant £20, including refreshments. 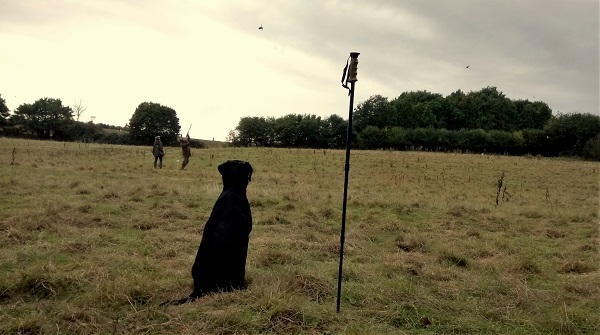 WDC Team enjoyed a great day out on Sunday 24th June at the Game and Wildlife Conservation Trust Gundog Working Test. Held on the Waddesden Estate in Buckinghamshire by kind permission of the Rothschild Family. What a fabulous venue in beautiful weather with great competitors and dogs. 6 tests and 2 scurries thrown in to entertain while waiting turns to compete. We ran our mobile stand and the over the bales scurry which was greatly enjoyed by all who took part. Thanks to our customers who came to say hello and to those who supported our stand, really appreciated! The GWCT received much needed funds to continue its work benefitting the game and wildlife of our countryside. Well done to all. Welcome back to all attendees who have just completed the four day courses. We are pleased to announce that on Saturday 14th April we will be running a refresher session in both puppy and junior classes. The sessions will be £20 per handler and we welcome existing clients and new enquiries. Please indicate your interest by emailing info@workingdogcompany.co.uk or telephone the office 01462 450830. Puppy session 09.00-10.00am and Junior 10.30 -11.30am. 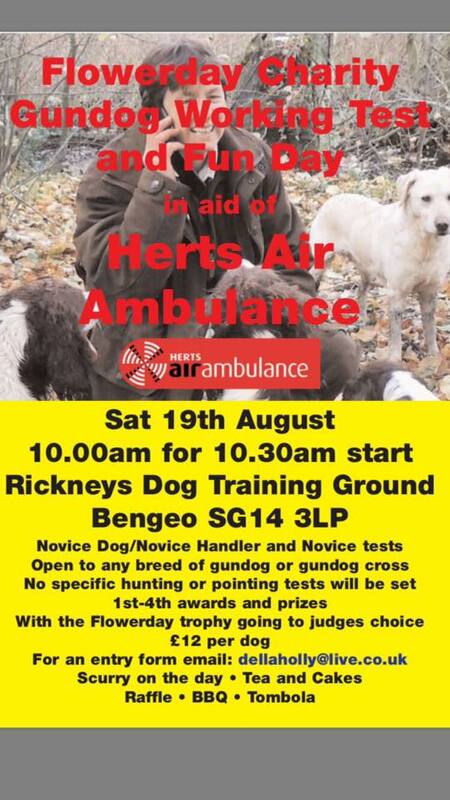 Please be aware we will be closed on Saturday 19th August as we are attending the Flowerday Charity Gundog Working Test in aid of Herts Air Ambulance. 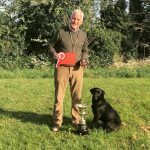 Success in Chiltern Gundog Society Novice Working Test! 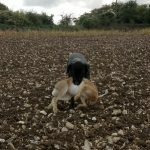 On Sunday 7th May Ian took Tess to compete in the Chiltern Gundog Society Novice Test at Woodlands House near Marlow in Bucks. Around 30 novice dogs were entered to compete in a test that was set out on ground that comprised of ancient woodland. I had worked to prepare Tess for this competition as the 2 previous tests we had entered recently had not resulted in any awards. This was due to minor issues that kept scores too low to be serious competitors to the eventual winners. However, I looked upon these two exercises as training days that became a great way to discover weaknesses. Those that read my last blog will recall that I set out my plan and aspirations for Tess in the item (dated 16th February) so I was content that our plan was on track. When I arrived at Sunday’s test venue I was looking to try and achieve an award; whether that was a certificate of merit, 4th, 3rd or second, any of these would be success in my eyes. 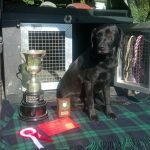 To win would be fantastic but mean of course that she would qualify out of Novice and become an Open standard dog and unable to continue to run at this level again. At the completion of the tests I was content that Tess had run well and should be there or thereabouts to pick up an award. At the announcement of the awards I was overjoyed to learn that we had been placed first and a clear winner with a score of 77/80, and beating second place by a clear 3 points! 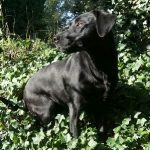 Now that she has qualified to run as an Open dog my work starts again to raise her to a level to be able to compete with some very experienced dogs and handlers. As I said in February I wanted her to be at this level by the time the shooting season starts, the reality is that we have arrived a bit sooner than expected and am now looking to find some Open competitions to give her a run in, watch this space! W orking Dog Company will once again be supporting this years Dogs Day Out Event on Sunday 2nd April at Swanbourne Park, Bucks MK17 0SH. Dogs’ Day Out is an annual fun day for the whole family and dogs of all breeds, sizes and abilities. Held in the beautiful Swanbourne Park, this annual event raises funds for Medical Detection Dogs – a unique charity which trains dogs to detect the odour of human disease. It is at the forefront of the research into the fight against cancer and helping people with life-threatening diseases. Working Dog Company will have a selection of training products available to purchase on the day.